Sony: Wii U is "its own generation"
As PlayStation 4 and next Xbox edge closer. Yoshida responds to a Twitter follower in typical style. Sony sees Nintendo's Wii U as "its own generation". The first high definition Nintendo console is set to launch in time for Christmas this year, and while the exact technical specifications remain under wraps (we do know top level CPU and GPU information) it is expected to at the least match the power of the PlayStation 3 and the Xbox 360 - not significantly outperform them. And with the PlayStation 4 and next Xbox rumoured to be set for release late next year, some have described the Wii U as a "stop-gap" console. 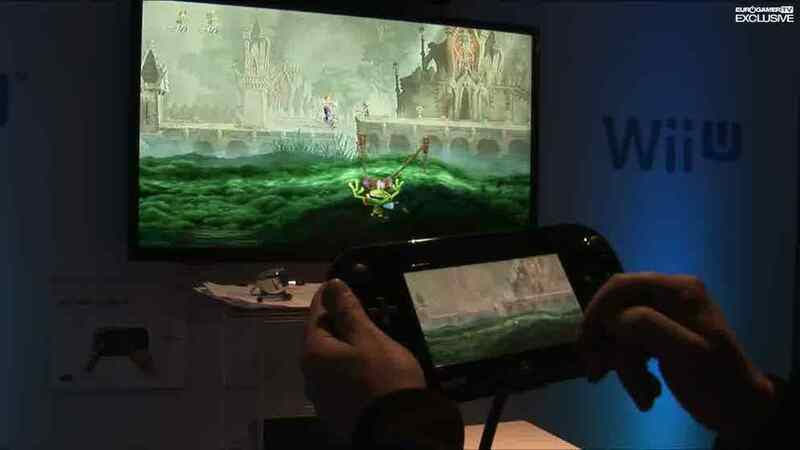 For Sony Worldwide Studios boss Shuhei Yoshida, the Wii U, as with its predecessor the Wii, exists in its own bubble. "Personally, I have always thought Wii was in a generation of its own," Yoshida told Eurogamer when asked whether he considered the Wii U a next generation machine. "I always thought PlayStation 3 and Xbox 360 are in the same generation, but Wii was not the same. To me, the industry was growing really fast when those three platforms came up because the focus is so different. The PS3 and the 360 were the closest in terms of high definition and networked services. But Wii carved out a large niche to itself. To me, it was like two generations going at the same time." He added: "Wii U is the next generation of Wii. That I understand. To me, it's its own generation." During E3 last week the PlayStation 4 - codenamed Orbis - was discussed but not named by Sony executives. One confirmed games are in development for it. Another suggested it will be a powerhouse - and may not launch before the next Xbox. So, it is coming. But is the Wii U, which will, perhaps, get a year's head start on the competition, a competitor to the PS4? "That's a trick question!" Yoshida laughed. "We are not talking about future PlayStation platforms at this E3. But everything competes for consumers' time and money and attention. "When you talk about the gaming industry today, it's a lot bigger than five years ago - there are a lot more people playing games, on a smartphone, on Facebook, in addition to PC and consoles. It's already multi-platform, way beyond the three - Sony and Microsoft and Nintendo. "So we are competing with everyone for consumers' attention, not just Nintendo and Microsoft."